The last few days have continued to be warm and muggy but the woods, fields and wetlands around Gill have just been a 'wall of sound' lately. 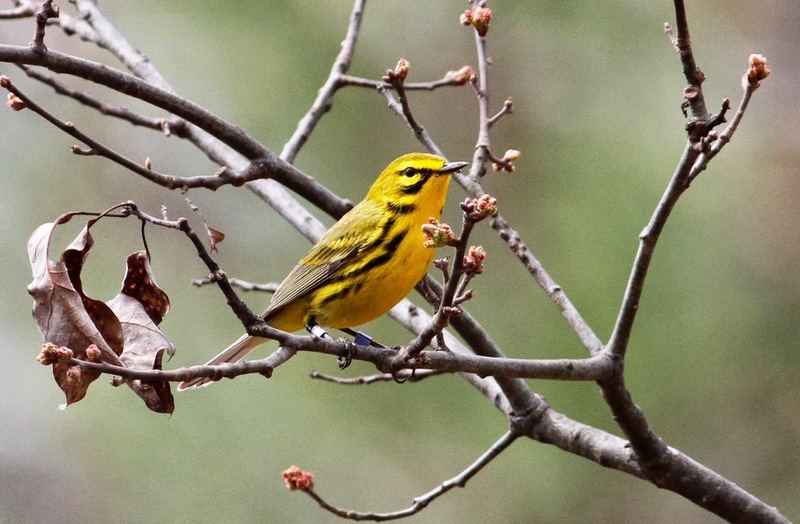 In particular, Wood Thrush, Pine Warbler, Louisiana Waterthrush, Ovenbird, Yellow-throated Vireo, Willow Flycatcher and Indigo Bunting seem to be especially abundant in our area this year. Yesterday evening 14 Double-crested Cormorants dropped into Barton Cove to join a lingering, and very late, drake Bufflehead. Bufflehead - drake, Barton Cove, Gill, Franklin Co., MA. May 28th, 2015. Double-crested Cormorants - some of the 14 individuals, Barton Cove, Gill, Franklin Co., MA. May 28th, 2015. All appeared to be first-summer birds. 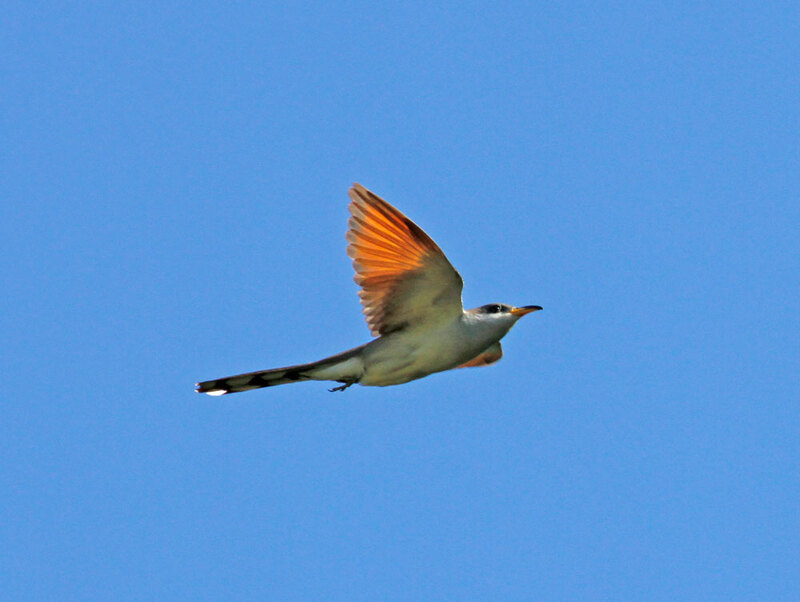 Yellow-billed Cuckoo - River Road, Gill, Franklin Co., MA. May 29th, 2015. 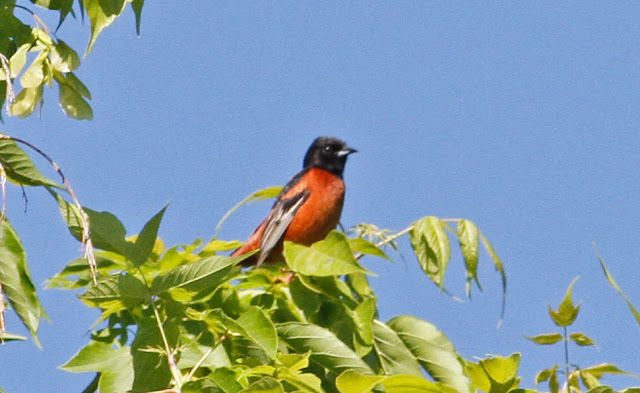 Orchard Oriole - male, River Road, Gill, Franklin Co., MA. May 29th, 2015. 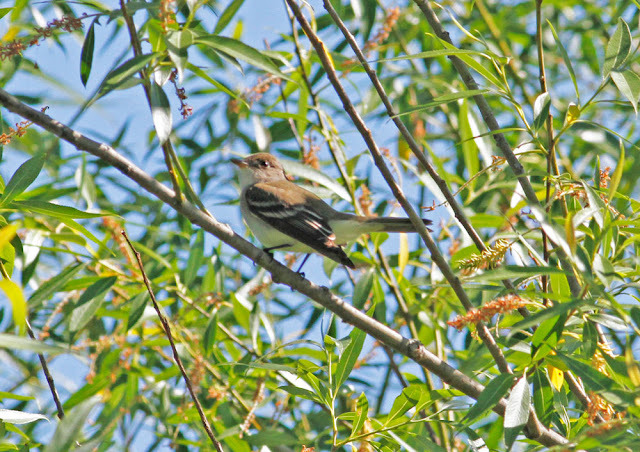 Willow Flycatcher - River Road, Gill, Franklin Co., MA. May 29th, 2015. 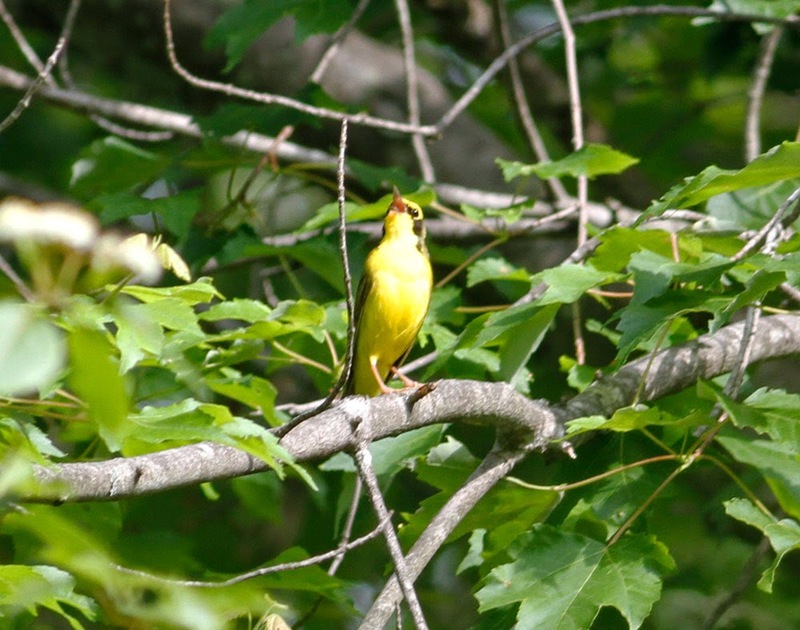 Many singing birds along River Road this morning. Spotted Sandpiper - River Road, Gill, Franklin Co., MA. May 29th, 2015. The singing Kentucky Warbler continues to hold territory for it's third straight day and this morning I had my first local Yellow-billed Cuckoo and Orchard Oriole of the season making for some great birding just a few minutes from home. 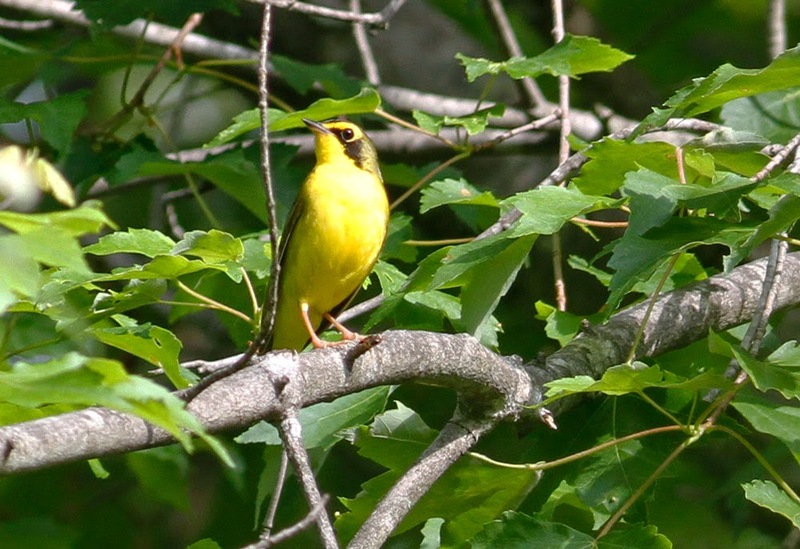 MA - Kentucky Warbler....in Gill! 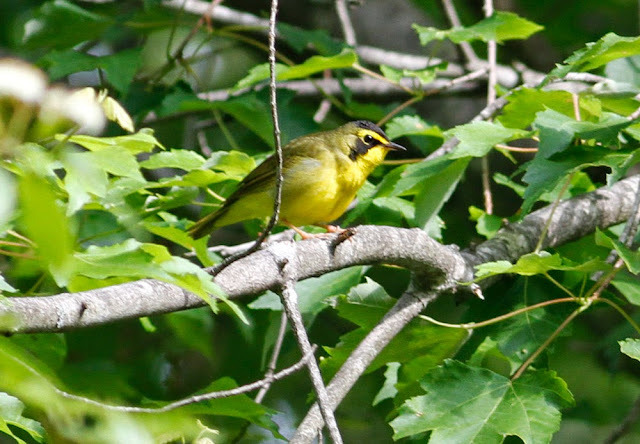 Kentucky Warbler - singing male, Gill, Franklin Co., MA. May 27th, 2015. 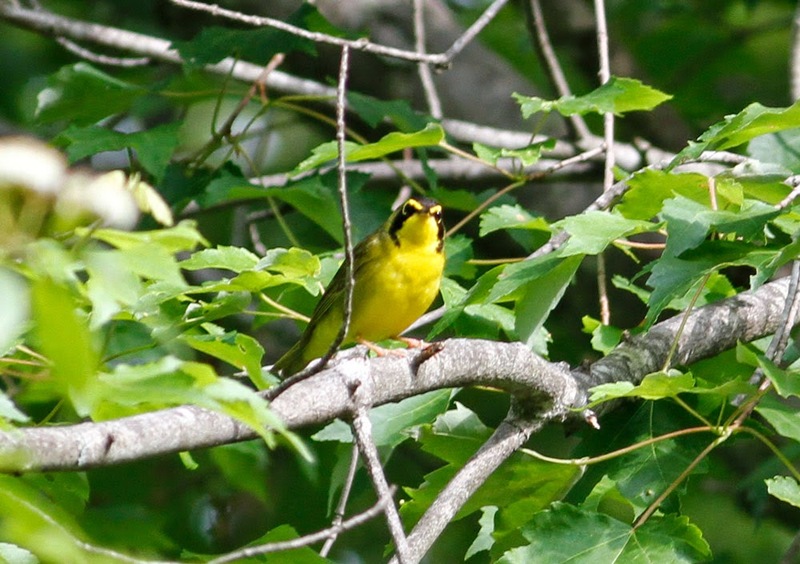 Found as a 'heard only' during my early morning bike ride, this Kentucky Warbler was still singing in the same spot when I returned with bins and camera a couple of hours later. 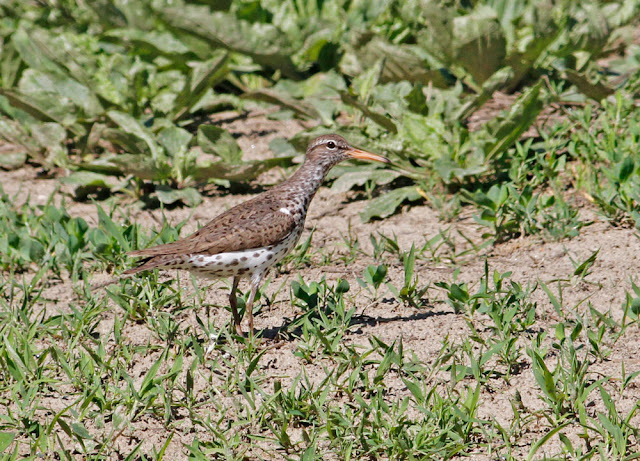 Perhaps the result of the latest spell of very warm southerlies, this bird behaved in a territorial manner in what looked (to me at least) to be suitable breeding habitat. Unfortunately the site is on private rather than public land. 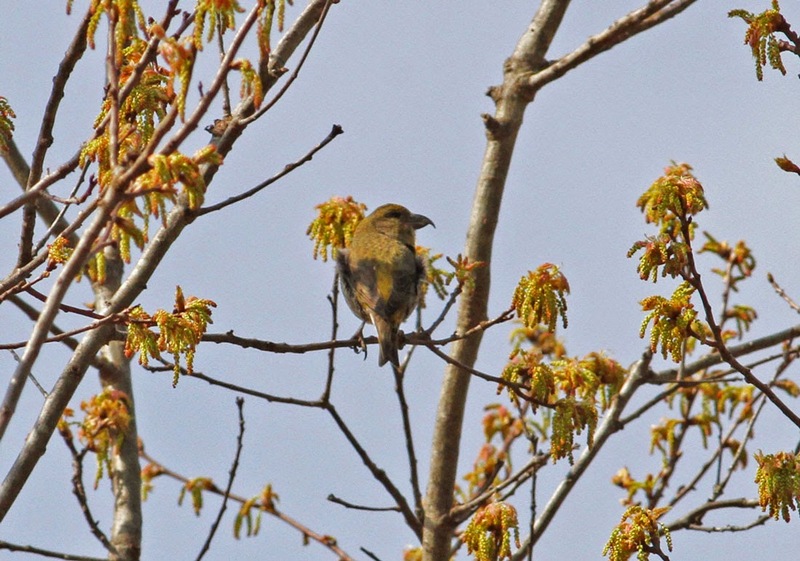 The bird was easy enough to hear but very difficult to see as it chose five or six different song posts, often remaining surprisingly high in the canopy. 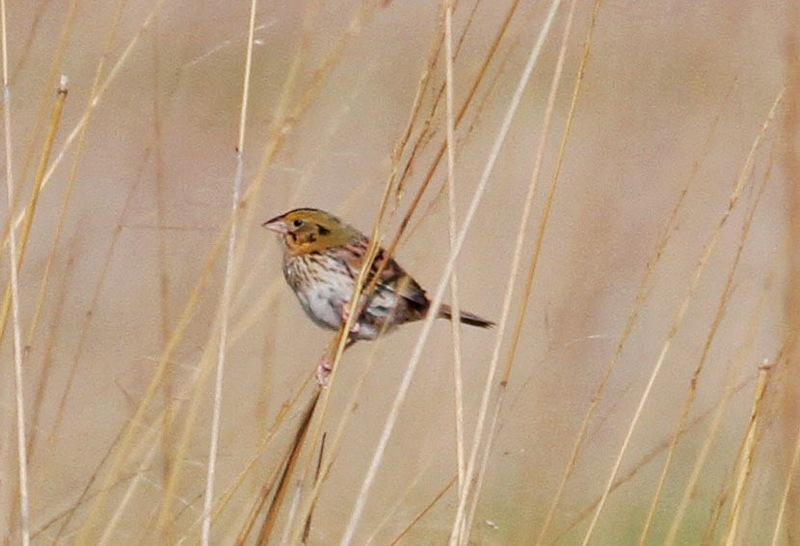 Though not great, I was pretty happy to come away with these unambiguous record shots. Kentucky Warbler is one of several 'southern' warblers that I've been hoping to come across in Franklin County this year and, as far as I'm aware, this bird has the potential to be a county 'first'. A fine local morning for warblers was rounded off with a singing Worm-eating Warbler, again in suitable breeding habitat, on Ben Hale Road, Gill. Unfortunately, that bird was far less co-operative for the camera but I may try the site again in a couple of day's time.......bird on! Kentucky Warbler - male, Gill, Franklin Co., MA. May 27th, 2015. MA - local Black Vultures....at last! 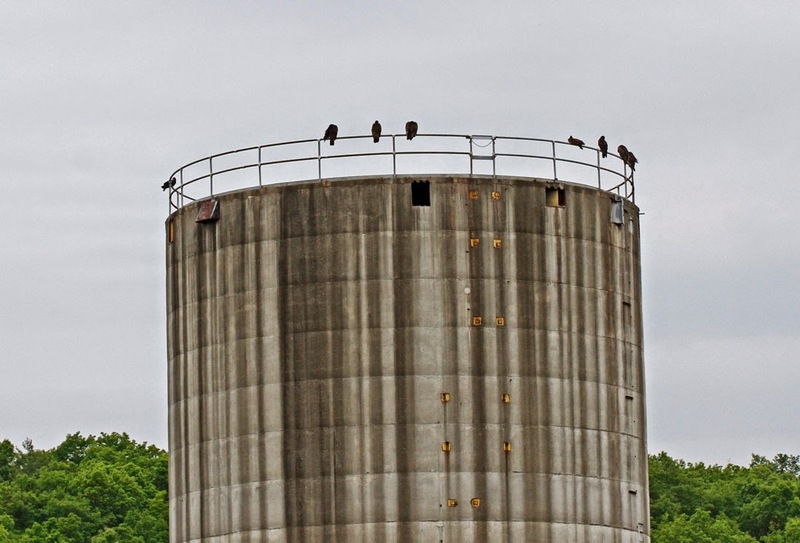 Late this morning while driving south with Matan across the Turner's Falls bridge I noticed a small gathering of roosting vultures atop a tower just west of the Great Falls Discovery Center. I regularly see Turkey Vultures in the area so wasn't over surprised to see them, but the opportunity to see them perched was a good one so I pulled up in the parking lot and made a quick binocular scan - Black Vulture! The left most bird in the group was a Black, careful scanning producing two more Blacks and nine Turkey Vultures. 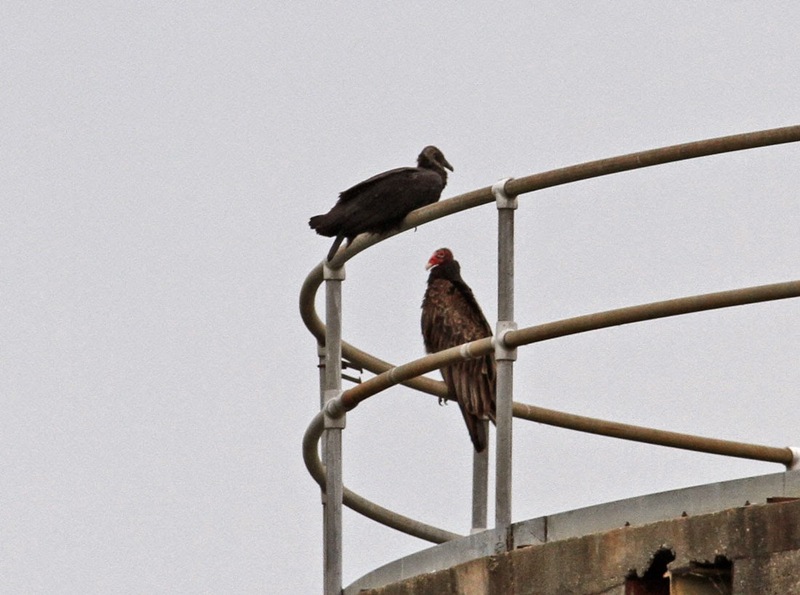 It did seem slightly odd to see them perched and roosting at midday but with complete cloud cover, light rain showers and no wind, the air must have been so lacking in thermals that the vultures just preferred to sit it out. Black Vulture has become something of a nemesis for me in Massachusetts. I've never chased one preferring that my first should come to me instead. But even so it's been frustrating to hear of multiple reports this year coming from towns like Wendall, Turner's Falls, Greenfield and other sites in Franklin County with none of them coming my way until today! Reports from further south and west in Massachusetts have become well established and I think we can look forward to more Black Vultures joining the Turkey Vultures in Franklin County in the near future. Black Vulture - Turner's Falls, Franklin Co., MA. May 25th, 2015. 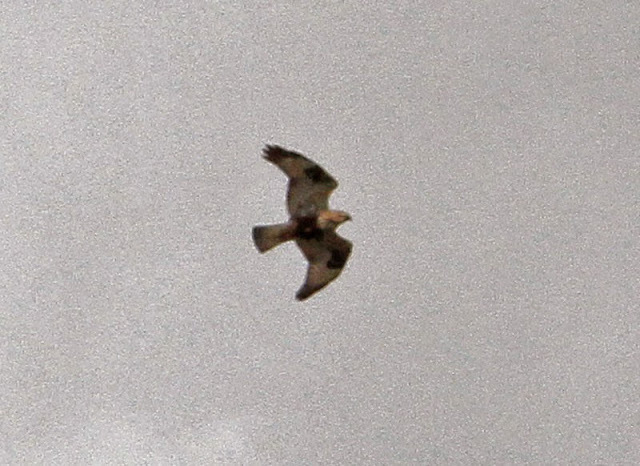 Upper bird in both images (with Turkey Vulture). Roosting Vultures - Turner's Falls, Franklin Co., MA. May 25th, 2015. Left most bird is a Black Vulture. 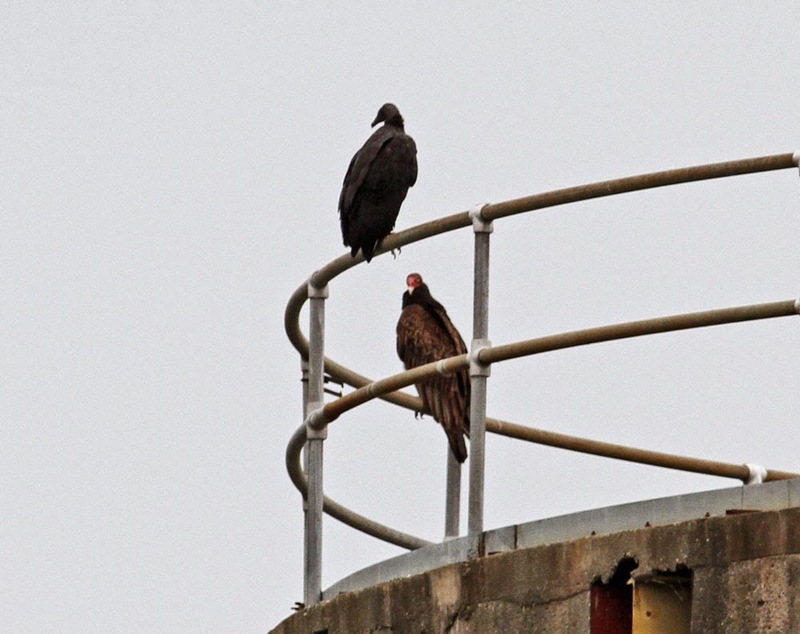 Two other Black Vultures roosting atop the rail are hidden from view at this angle. Back from a recent and very successful Birdfinders trip to Ohio and Michigan. 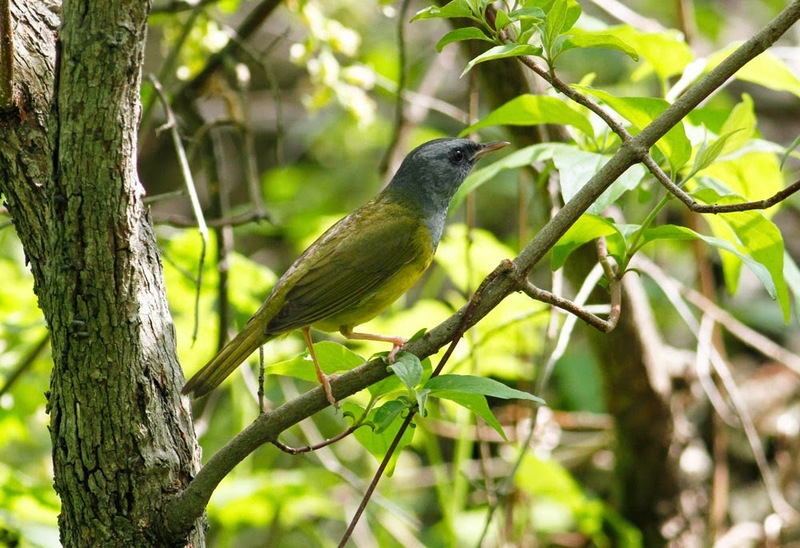 As usual, it was absolutely superb for warblers with 31 species recorded matching our warbler tally from the 2013 and 2014 tours. In addition to breathtaking views of Kirtland's Warbler some of this year's highlights involved lingering winterers including an unprecedented Snowy Owl and a rather unexpected Rough-legged Hawk! 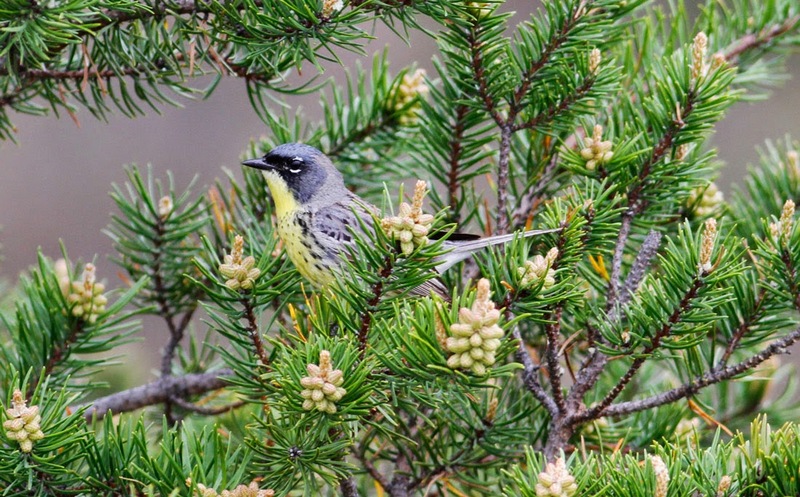 Kirtland's Warbler - male, near Grayling, Huron NF, MI. May 17th, 2015. Henslow's Sparrow - Ottawa NWR, OH. May 14th, 2015. 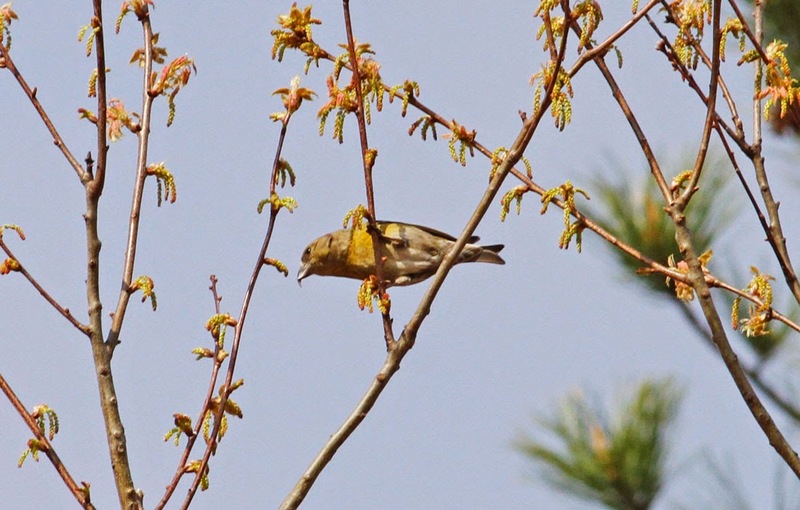 Mourning Warbler - Magee Marsh Wildlife Area, Oak Harbor, OH. May 16th, 2015. Tennessee Warbler - male, Tawas Point SP, MI. May 18th, 2015. Blackburnian Warbler - male, Tawas Point SP, MI. May 19th, 2015. 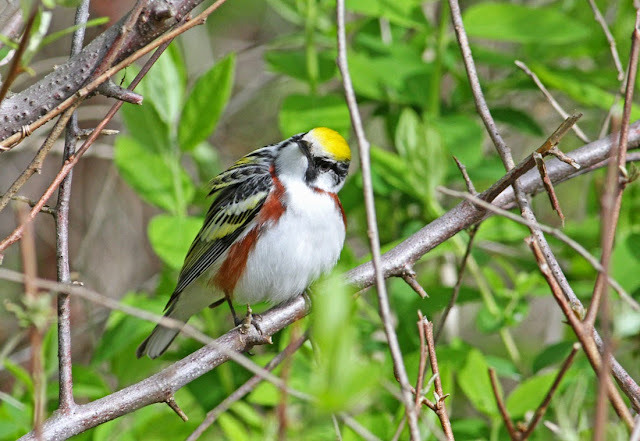 Chestnut-sided Warbler - male, Tawas Point SP, MI. May 18th, 2015. 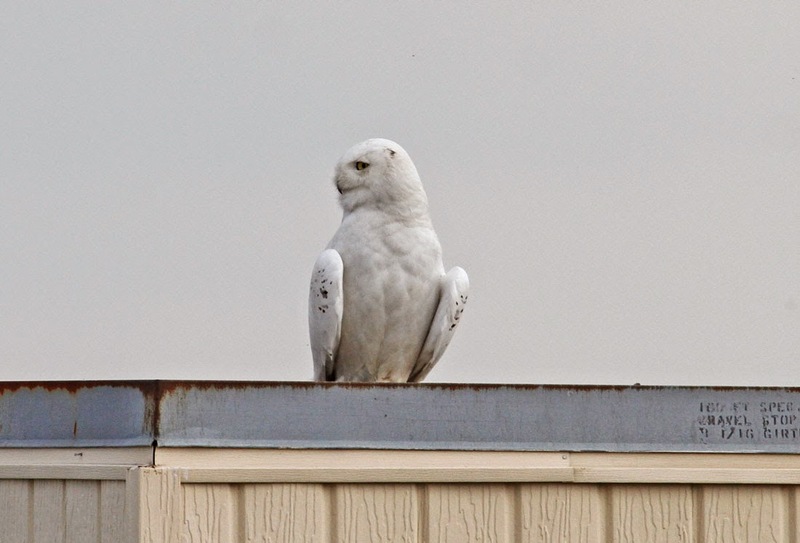 Snowy Owl - male, Wurtsmith AFB, MI. May 17th, 2015. Gracious thanks to Scott Surner and Val Miller for the tips on how to find this one! 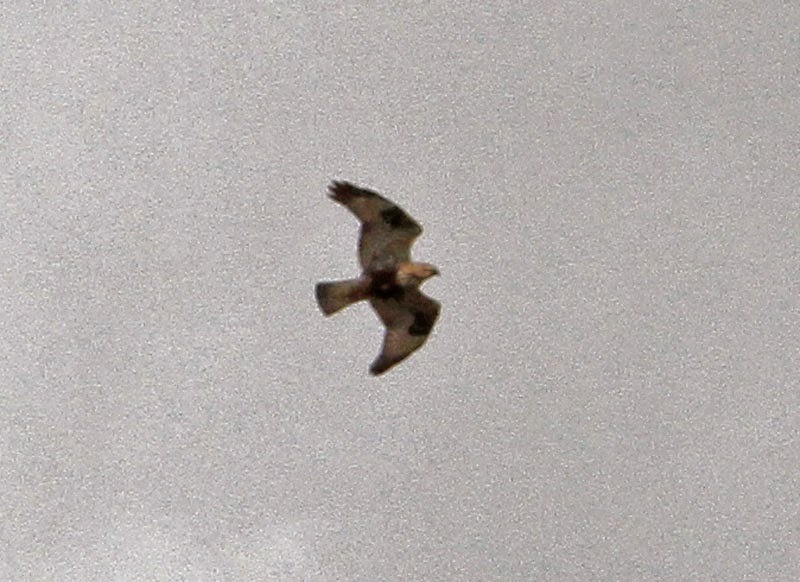 Rough-legged Hawk - light morph, Tuttle Marsh National Wildlife Area, MI. May 18th, 2015. This morning I took an impromptu bike ride around the Montague Sand Plains. 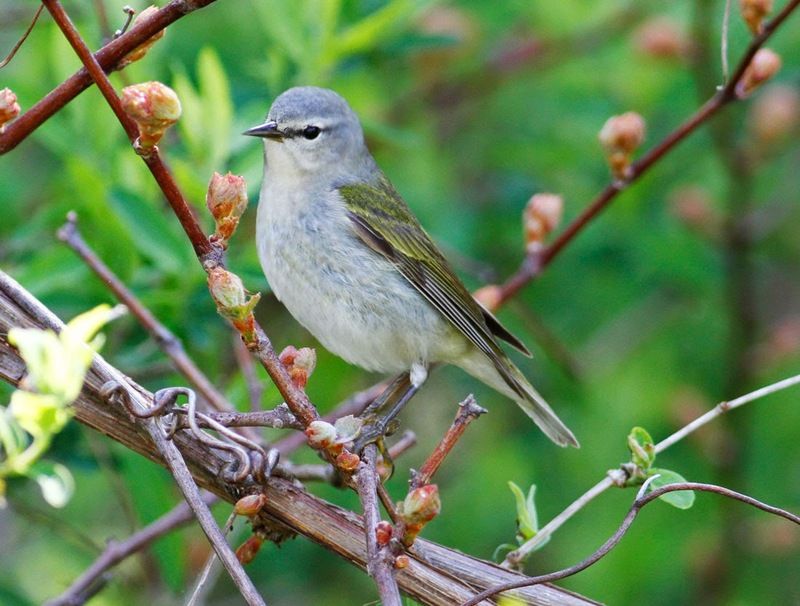 I knew I'd find Prairie Warblers there but had a pretty open mind when it came to other species. 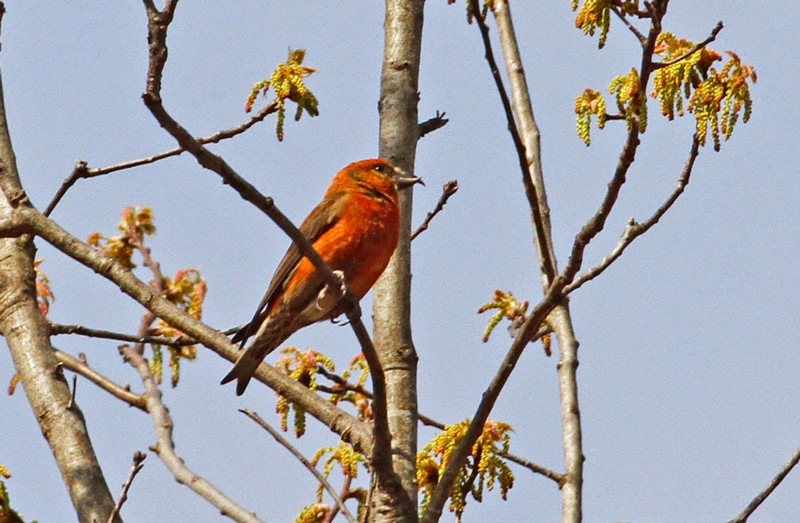 I'd barely started my ride when I heard the classic 'gyp gyp' calls of Red Crossbills and quickly found a party of four (two male, two female) close to a huge power line cut running through the center of the plains. I thoroughly enjoyed my ride finding many newly arrived summer migrants and local breeders such as Field Sparrows and Eastern Towhees. On the hand, it was a bit disappointing to find this beautiful and unique habitat used as a dumping ground. I counted 13 dumped sofas and 8 mattresses during a four mile ride and only scratched the surface of the whole area. 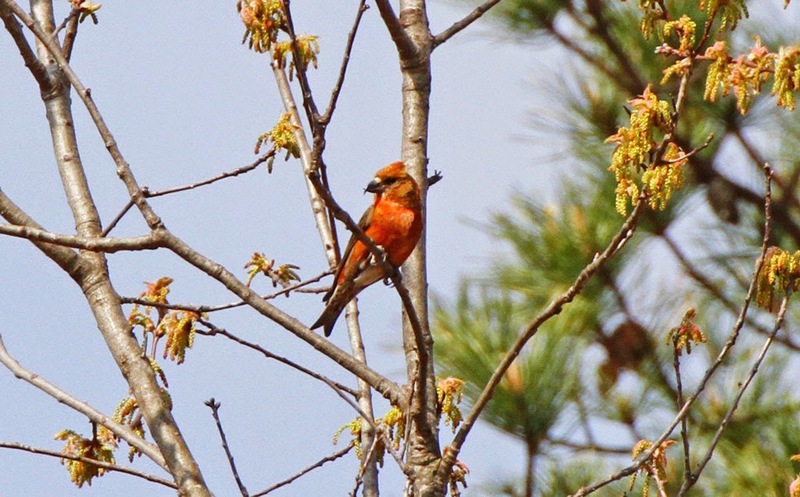 Red Crossbills - Montague Plains WMA, Franklin Co., May 5th, 2015. 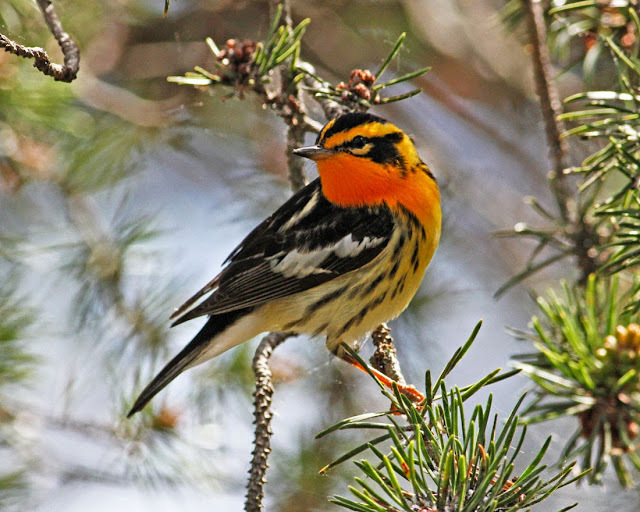 Prairie Warbler - male, Montague Plains WMA, Franklin Co., May 5th, 2015.